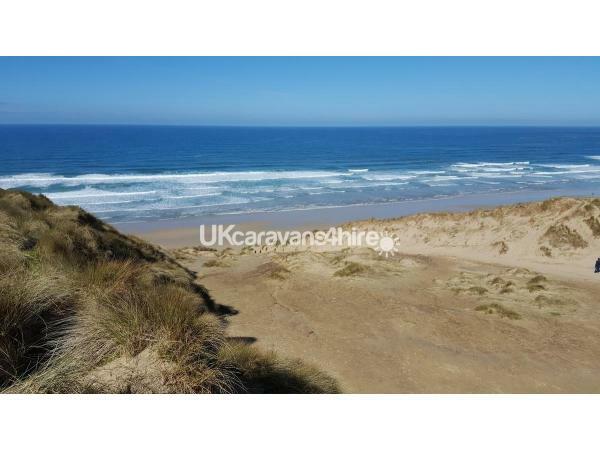 Additional Info: Situated in a quiet cul-de-sac with only a few other vans, and sand dunes behind. BBQ & picnic bench. £50 deposit to secure booking. Balance due 6 weeks before start of holiday. 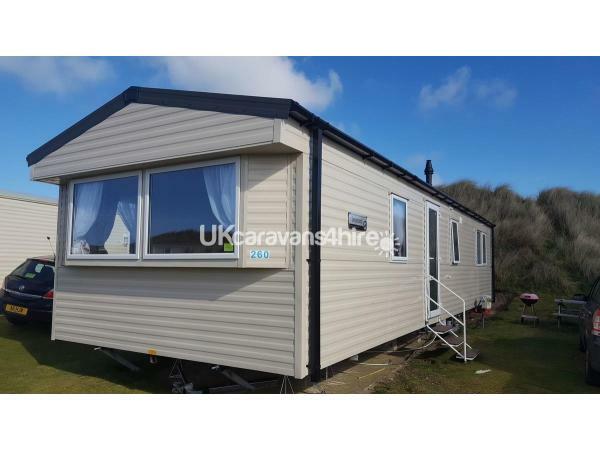 We have 2017 Willerby Seasons 2-bed (6-berth) caravan for hire on the Haven resort Perran Sands Holiday Park, in Perranporth, Cornwall. The van is situated in a quiet cul-de-sac with only a few other vans, and sand dunes behind. 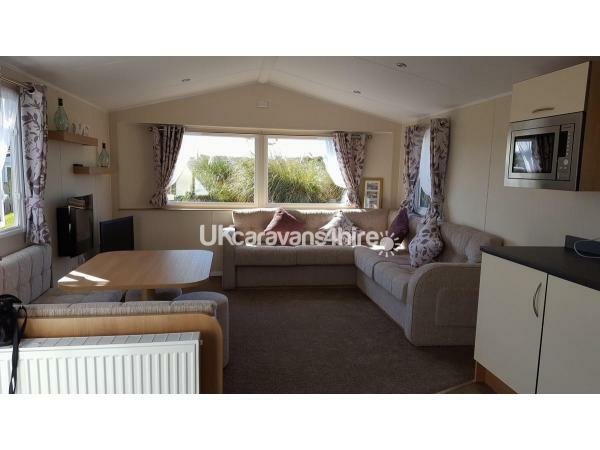 Even though we are in a quiet location, our caravan is only a short walk to the main on-park facilities (5 minutes) and has easy access to the beach via the dunes, or the path that winds down the cliff. 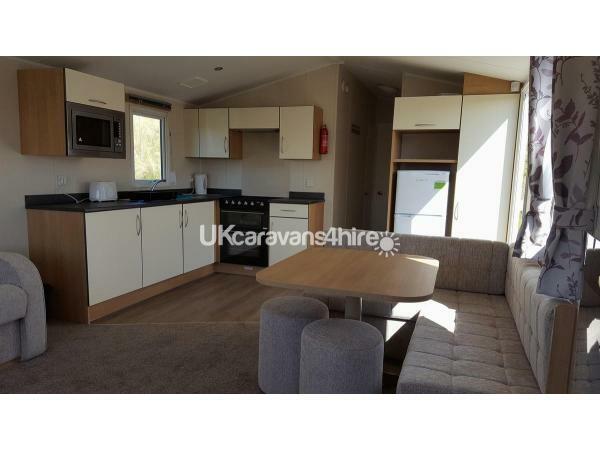 Within the caravan we have an open plan kitchen area, with a 3/4-height fridge freezer; a lounge area with TV and DVD player; 1 large double bedroom & 1 twin bedroom. All crockery and cutlery is provided. 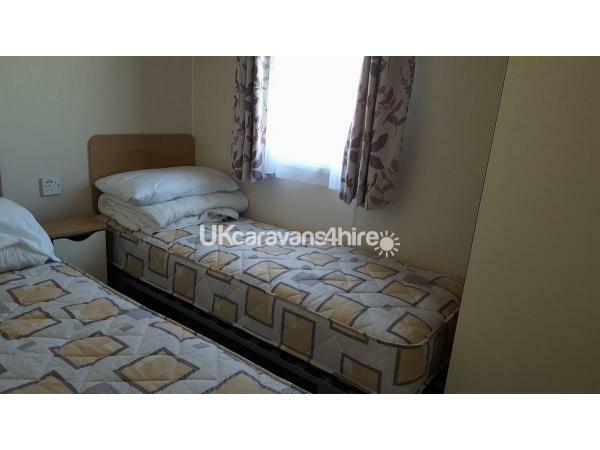 The van has double glazing and gas central heating throughout. and there's also an electric heater in the lounge. 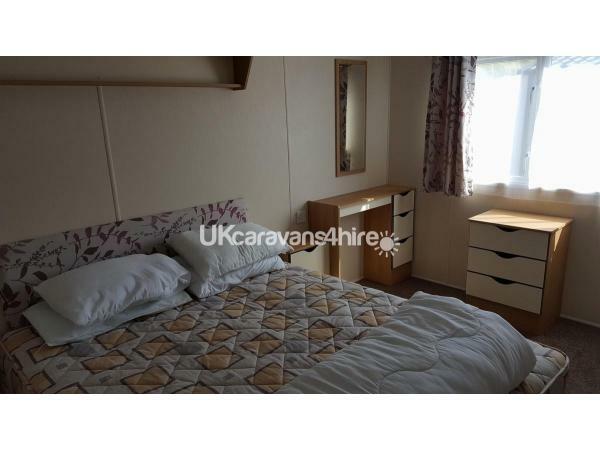 The master bedroom is very spacious and has a 22" wall-mounted TV and a dressing table. The twin bedroom has a wardrobe and two single beds. Outside we have a BBQ and a picnic bench and space for up to 2 cars. A £50 non-refundable deposit is required to secure all bookings. Full payment must be received 6 weeks prior to your arrival date. 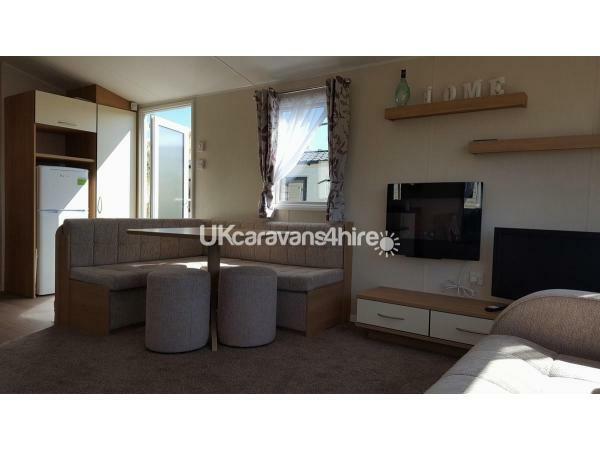 Additional Info: Haven’s Perran Sands Holiday Park has some great facilities. On-site, there is a swimming pool with flume and the new "lazy river". There's an entertainment centre with arcades, kids clubs and performances. There are lots of other activities to enjoy on the park too, including Mini Golf, pool activities, archery, fencing, surf lessons. Off-park, there's miles of sand-dunes to explore, and the beautiful sandy beaches on the Atlantic coast. There's riding stables close by where you can arrange a ride along the beach; For the more adventurous, there's a skydiving centre near by! Or if it's all too much, there's a lovely walk along the beach (or over the dunes at high tide) to the ‘Watering Hole’ - the UK's only Bar on the Beach - which serves great food and drinks (The nachos must be tried at least once! ); and the lovely village of Perranporth itself. Entertainment passes for the park can be purchased on arrival – these are not included in our rental price.